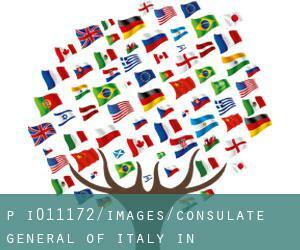 Jurisdiction: The Consulate General of Italy in Philadelphia provides services to residents in the following States: Pennsylvania, Delaware, North Carolina, West Virginia, New Jersey (only the following counties: Atlantic, Burlington, Camden, Cape May, Cumberland, Gloucester, Ocean and Salem. The remaining counties are under the jurisdiciton of the Consulate General in New York for visas and for all other matters under the jurisdiction of the Consulate in Newark), ** Maryland (except for the counties of Montgomery and Prince George which fall under the jurisdiction of the consular section of the Italian Embassy in Washington, DC) and Virginia (except for the counties of Arlington and Fairfax which are also under the consular section of the Italian Embassy in Washington, DC). Office Hours Office Hours for the General Public: Monday through Friday 9: 00 - 12: 00 Office Hours for Visa applications: Mon.- Wed. - Fri 9: 00am - 12: 00pm. Write down the GPS coordinates we have on our file for this Embassy, so you can enter them into your GPS to enable you locate the Consulate easily. If you believe that any with the information is incorrect, please make contact with us. Assist us be better day-by-day.